Process fundamentals for the design and operation of water and wastewater treatment technologies. 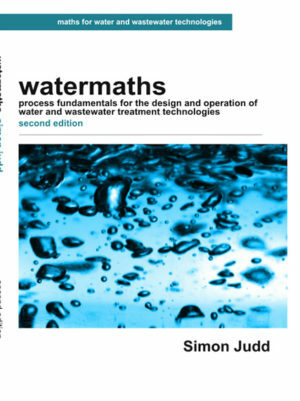 Suitable for students of undergraduate water engineering, civil engineering or environmental science courses, the book is also ideal for practitioners in the water industry who need a basic refresher. Watermaths is designed for self-paced study or distance learning. A brief explanation of each topic is followed by examples and exercises designed to reinforce learning. Simon Judd runs a Watermaths discussion forum on LinkedIn.com, where you are welcome to discuss with him and others any aspect of the subject. you may ask for your data to be removed by emailing enquiries@juddwater.com.